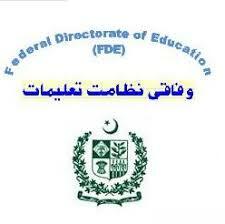 Islamabad, Federal Directorate of Education, FDE will start FDE class VIII annual exams 2018 and Federal Board, FDE eighth class date sheet is provided with date and time of each paper. 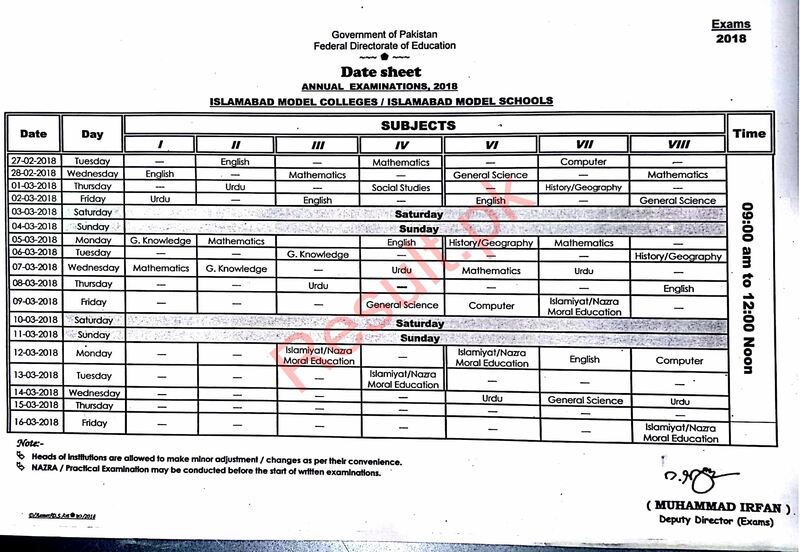 Islamabad Board 8th class papers will be managed from 28-2-2018 and Islamabad Board middle grade 8 last paper will be done on 16-3-2018. FDE 8th grade students will get their FBISE grade VIII date sheet online with complete updates. FDE, Islamabad class 8 students will check instructions and they should follow these instructions to attend middle class annual exams 2018.